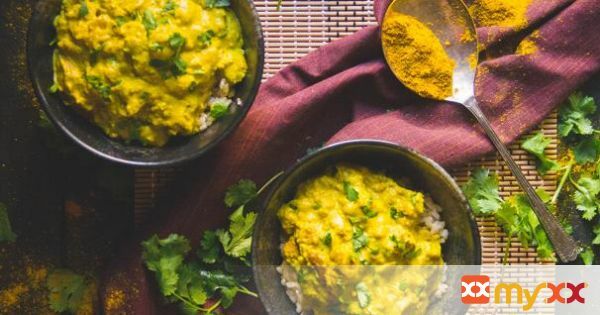 6 simple ingredients and a few minutes of your time are all you need to create this lamb and cashew curry; a steaming bowl of Indian-inspired awesomeness! 1. Place the cashews and coconut milk in a food processor or blender and blitz until a thick and creamy consistency is formed. 2. Place a large pan or wok over high heat. Sauté the onions with a little oil until translucent. 3. Add the garlic and fry for 30 seconds more. 4. Add the curry powder, stirring constantly for a minute or so until fragrant. 5. Slowly stir in the cashew sauce and 400ml of water. 7. Rescue to a steady simmer and add the lamb. 8. Cook for another 15 - 20 minutes or until the lamb is cooked.